We are a very personable company who takes great care with every contract we do, to make sure we provide our all our clients with the best possible service. We are specialists in timber sliding sash windows, casement windows and doors. We won't only install newly manufactured but will also tackle the sometimes more difficult jobs where full refurbishments to your existing windows is needed. We are proud to say we have successfully worked on Grade 2 listed buildings returning those much loved original windows and doors back to their former glory. Full refurbishment to all of the existing windows or doors. Superb workmanship, excellent quality windows, polite and tidy. 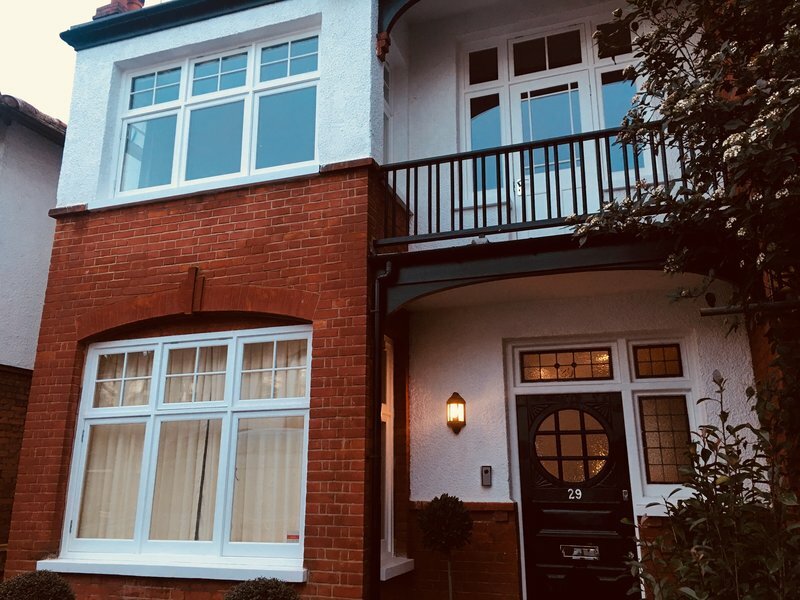 Absolutely delighted with the new windows we had put in throughout our Edwardian house. These included two large bay windows with the complication of sagging bays. We also had sash windows and casement windows fitted. The quality of all of the products is superb - very high quality wooden framed windows with double glazing. We also had detailing with leaded panes and frosting in the bathroom, all of which were excellent quality. Brett and his team take a real sense of pride in their work with great attention to detail and an outstanding finish. We could not be happier! The team were polite, courteous and professional and made every effort to minimise the impact to us by thoroughly tidying up every night. They were punctual and worked diligently throughout. I wouldn't hesitate in recommending Renew All Sash to friends, family or anyone who asked; their work is excellent. From the outset Brett was professional and explained all our options. This was swiftly followed up with a detailed quote and a date for the the proposed work. Following a telephone conversation to clarify a few questions I had, I felt very confident I wanted Brett to do the job. Our previously aging, and rattly old sashes now look beautiful, are drought proof and run perfectly smoothly. They have better security to boot. The work was completed as agreed and on time. They are lovely chaps, a delight to have in your home and they left everything spotless. Would definitely use them again. We had the window panes replaced in our bay window. Also the bay window was refurbished from the inside. The work was done in a professional and efficient manner. Very tidy. They did the work in the time that was estimated for it to be done. Thank you so much for the kind review. One replacement sash window fitted. Very tidy efficient men. Thank you so much for the time to send us the feedback.